If you originally purchased Dragon Age: Inquisition on the Xbox 360 or PS3 to the Xbox One or PS4 and don’t want to lose that precious progress that you’ve made, then you don’t have to. You can export that saved game data to use with the new save game importer for Dragon Age: Inquisition that comes as part the free DLC ‘The Black Emporium’. 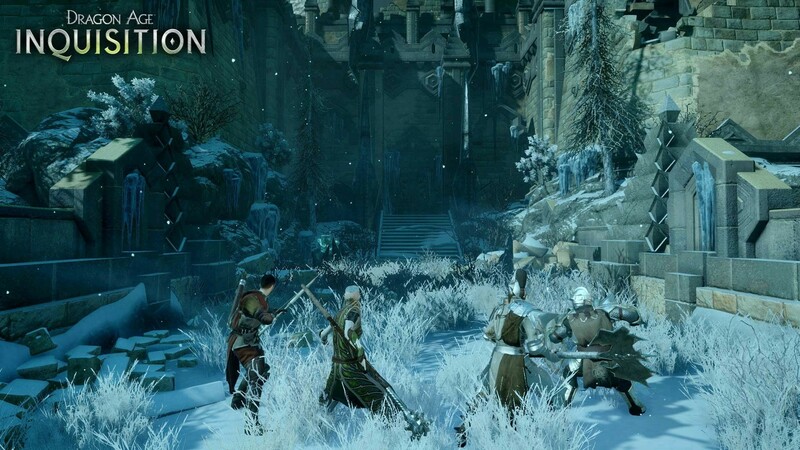 Dragon Age: Inquisition can import saved game data from old generation consoles. Why waste progress? BioWare has made the decision to only have future DLC available for the PS4, Xbox One and PC, not including the older consoles so that they can increase the quality of each successive update. The process to export the data isn’t necessarily that complicated, though there are some things that you have to keep in mind when planning for a proper porting procedure. You can only export from a certain location within Dragon Age: Inquisition (the Black Emporium). There are different procedures for importing data into multiplayer that need to be followed. You can only upgrade from previous generation console to current generation of the same manufacture. You’ll need to own two copies of the game, this doesn’t mean you get a free game. Only one export can be held in the cloud at a time. The last one is important, so don’t go export crazy! The following guide should make it easy to make the transition, and is a compilation of information from BioWare, confirmed from my own experiences. On the PlayStation 3, head on over to the Black Emporium to start the process.. In the Save Game menu, select NEW SAVE GAME and press L2 to export to PlayStation 4. A message appears to inform you what happens when a save game is exported. Be sure to read the details. Choose whether to proceed or cancel. The button to proceed is Triangle. Once you continue, you’ll see a message that confirms that the game is being uploaded to the server. Once that succeeds, you’ll get a second message confirming that transfer. Once complete, boot up the PlayStation 4 and follow the next steps below. On the PlayStation 4, in the main menu, select Extras. A message appears with a summary of the available save game data. Verify that it matches the previously exported save game data. You can choose to proceed or cancel. The button to proceed is Triangle. Congratulations! You’re now ready to continue your progress on the PlayStation 4. On the PlayStation 4, on the main menu select Extras. On the Extras screen, select Migrate Multiplayer Data. IMPORTANT! You can only migrate your multiplayer data once. You can only migrate multiplayer data from PlayStation 3 to PlayStation 4 via the PlayStation 4 internal menu. A message appears to inform you what happens when multiplayer data is migrated. You can choose to proceed or cancel. The button to proceed has been moved from Cross to Triangle to prevent players from accidentally proceeding before reading the full details. On the Xbox 360, head over to the Black Emporium to start the process. In the Save Game menu, select NEW SAVE GAME and press Left Trigger to export to the Xbox One. Choose whether to proceed or just cancel. The button to proceed is Y. Once you continue, you’ll see a message that confirms that the game is being uploaded to the server. Once that succeeds, you’ll get a second message confirming that transfer. Once complete, boot up your Xbox One and log into Dragon Age: Inquisition. On the Xbox One console, in Dragon Age: Inquisition, Select Extras. On the Extras screen, select Import Xbox 360 Save Data. You can only migrate multiplayer data from Xbox 360 to Xbox One via the Xbox One menu. A pop-up message appears to inform you what happens when multiplayer data is migrated. On the Xbox One console, inside the main menu, select Extras. And the rest is history! Once the saved game has been successfully transferred, you should be good to go, and able to jump right in where you left off with no issues.